Located in Ultimo, Visa Lawyers Australia is a legal practice that assists its clients in obtaining temporary and/or permanent visas to live and work in Australia. Working in close collaboration with the Principal and other solicitors you will assist on and eventually manage client matters. Duties will include obtaining and recording instructions and drafting various documents including: statutory declarations, immigration application forms, populating precedents and other documents relevant to visa applications to the Immigration Department. This position will provide you with some opportunities to interact with clients and follow their cases through from initial interviews and developing the application strategy development to the final decision by the Immigration Department. To be successful in this role, the essential skills that you will demonstrate are: A client-focused philosophy and approach; Excellent communication skills (both written and oral); Outstanding attention to detail; The ability to independently carry out legal research and manipulate legal research databases; The ability to apply legal frameworks to practice Sound academic achievement; A highly motivated and well organised approach to completing tasks, with willingness to receive feedback; A good command of Microsoft Word and the ability to type your own documents with speed and accuracy; Working knowledge of Microsoft Excel; and A collegiate and collaborative approach to teamwork Practice Background: The practice deals solely in immigration law. It has operated since 2001. Our clients are assisted by a team of lawyers who are all also Registered Migration Agents. Our Principal Solicitor, has over 20 years of experience in the areas of immigration, commercial litigation, medico-legal and employment law. 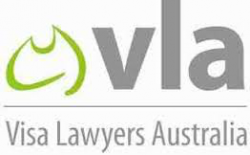 For more information on Visa Lawyers Australia please see: www.visalawyers.com.au Applicants should be available to commence work in May/June 2019, in a full-time capacity as an admitted solicitor (or will be admitted within the next six months). How to Apply and Contact Details: Forward a cover letter and curriculum vitae (in pdf format) to our Manager: Dr Tatiana Paipetis. Applications to be submitted by email to: tatiana@visalawyers.com.au with the subject heading: Graduate Lawyer. Please do not submit electronically via College of Law site as it will get filtered by our firewall. The closing date is: midnight, Sunday, 28 April 2019. For queries related to this vacancy please contact Tatiana on the above email address or telephone: 0417 142 429. PLT Placement with Jurisbridge Legal Boutique commercial and property law firm looking for ambitious, bright and motivated: graduates for Practical Legal Training; and junior lawyers with 1 year PAE in property law. Our property practice includes conveyancing (acting for vendor and purchaser), commercial/retail leasing (acting for lessor and lessee), development projects (acting for property developers in large-scale off-the-plan sales). Our commercial practice includes business purchase & sale transactions, mergers and acquisitions and providing advice to all kinds of commercial contracts. To be considered for this role it is ESSENTIAL that you are a fluent Chinese speaker and you have English speaking skills.